North Tahoe’s JC Schoonmaker skies to a first-place finish at Auburn Ski Club on Friday, Dec. 22. The club will host the area's first races of the season this weekend, the Tahoe Mountain Sports Holiday Sprints and Paco's Freestyle. The Nordic racing season in the Truckee area will get underway this weekend at Auburn Ski Club with a pair of the club’s annual cross-country events. The Tahoe Mountain Sports Holiday Sprints and Paco’s Freestyle Race mark the second and third races of the Far West Nordic calendar, and first of the season to be held in the area. The Tahoe Mountain Sports sprints and Paco’s Freestyle Race will also be the first Junior Nationals qualifying races of the season, and will bring in more than a hundred racers between the two days of competition. Course conditions for the competitions this weekend are excellent, according to Sugar Bowl Team & Academy Coach Ambrose Tuscano, which is something that was hard to come by during the early parts of the 2017-18 season. Racing is scheduled to begin Saturday at 9:30 a.m. with a pair of youth events. U14 racing begins at 9:45, followed by women and men’s prelims. Finals are scheduled to begin at 1 p.m. with awards at 2 p.m.
Paco’s Freestyle will begin the following day with a 9:30 a.m. mass start for youth racing. U14 and U12 racing begins at 9:45, followed by the 5- and 10-kilometer events. Registration for the race is still open and can be done at AuburnSkiClub.com. 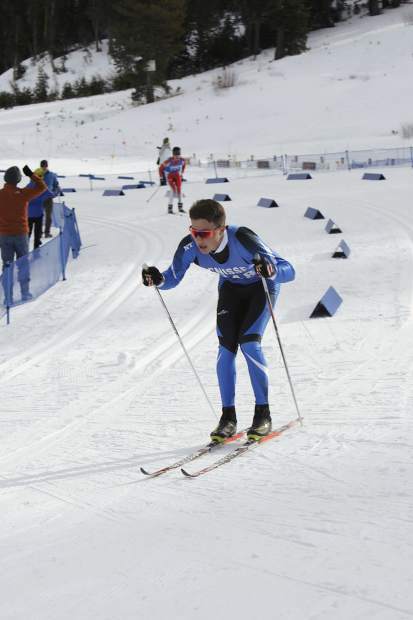 Far West Nordic racing then returns to Auburn Ski Club on Sunday, Dec. 30 for the annual Snowshoe Thompson Classic.